Volunteer hours are available each week for those wishing to help. Call 509-475-7185 or sign up at The Den through Dixie to be scheduled. Always remember to allow 24 hours for return calls. Volunteer hours can be during Wolf Den hours or before opening hours (3:30-6 PM Wed. – through Sat.) when volunteers are available to supervise. We will find jobs suitable to each member’s skills and abilities, if they decide to volunteer. 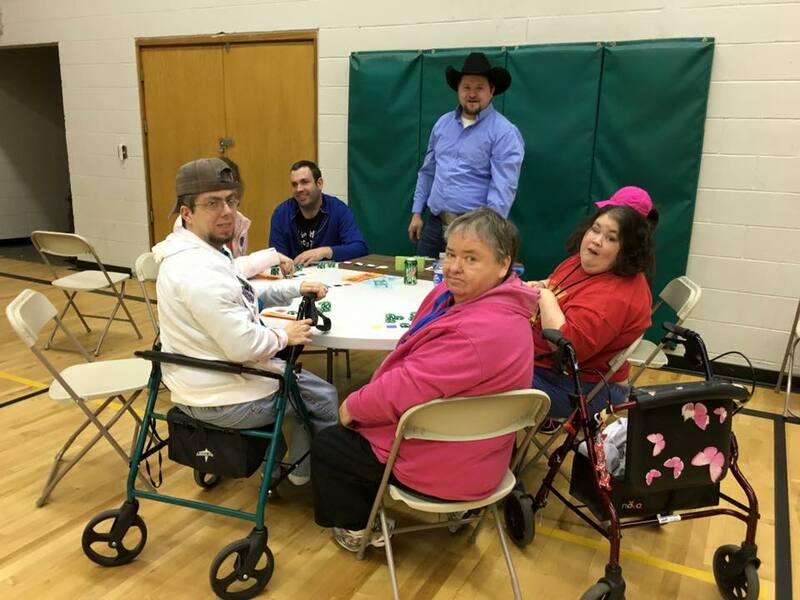 The Wolf Den Recreation Center is a multipurpose recreation center offering adults with intellectual disabilities access to various activities and events. 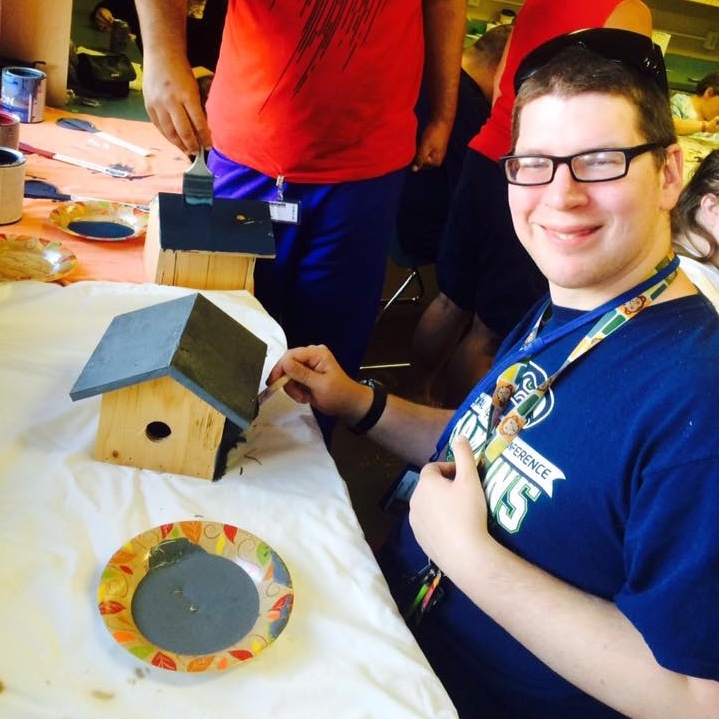 The purpose of the Wolf Den is to provide a safe place for those with intellectual disabilities to meet their friends and peers, develop job skills, social skills and independent life skills, and foster accountability, attitudes of giving and empathy, and a sense of community. The Wolf Den offers numerous opportunities for members to work on their skills and challenge each other to pool, foosball, and card games. Members can also engage their creative selves. 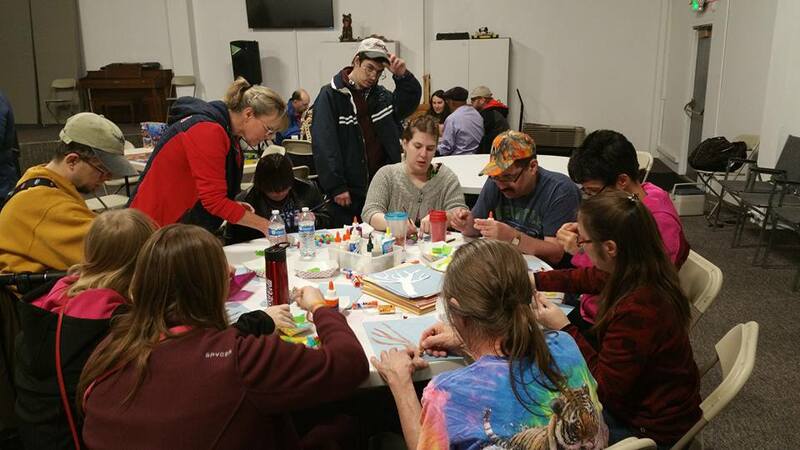 The Wolf Den offers coloring, painting, card making, beading, and at least one organized craft per week led by a volunteer. If the member simply wants to relax, there’s a room for that! A TV, board and card games, and books can be found in the Quiet Room. The Den would not be complete without The Wolf Pack Cafe’! The Cafe’ is open every evening, offering homemade meals at reasonable prices. 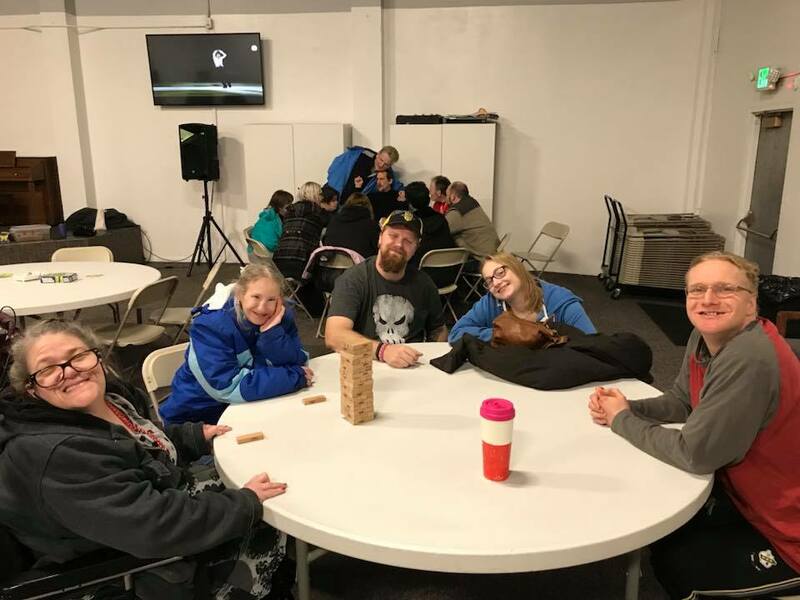 In addition to the regularly scheduled Den hours, members can take advantage of Girls’ Night or Guys’ Night once a month, Bible study, and special events like Halloween Parties and New Year’s Eve Parties. The Wolf Den is only Phase I of our master plan and we hope to offer much more in the coming months and years! Wolf Den members tried their luck at the first Casino Night at The Den! 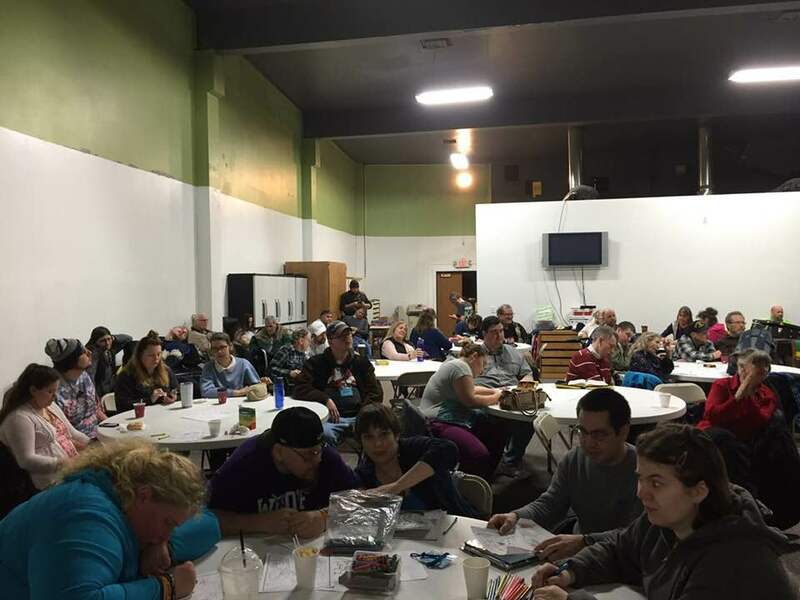 It was a great evening of games and everyone turned out a winner! Watch the calendar for another Casino Night! Each night The Den is open a meal is available for purchase. Beverages available for purchase often include coffee and pop, although pop is available only twice a week. If members wish to bring food money for the month (or the week, etc.) ahead of time, we will manage and track those funds until they are gone. For those without spending money, free snacks like popcorn, crackers, or PBJ sandwiches are available.